I was gifted a box from Hello Book Lover for review, but as usual, all opinions are all mine. It has been a crazy couple of weeks over here, let me tell you. For some reason KC and I decided to paint half the house, plus the kitchen cabinets, buy a bunch of new appliances and tackle some other projects around the house. It's been a madhouse. I'm finally burning out on my show - okay, that's a lie, in reality things are finally calming down enough for me to 'find time' to read and watch TV - so this box from Hello Book Lover couldn't have come at a better time. 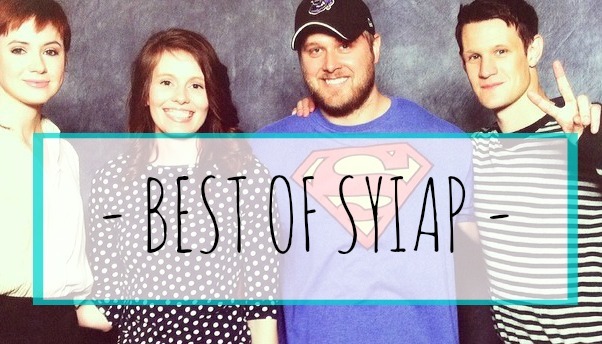 If you'll remember, I got a box from them back in August and absolutely loved it. 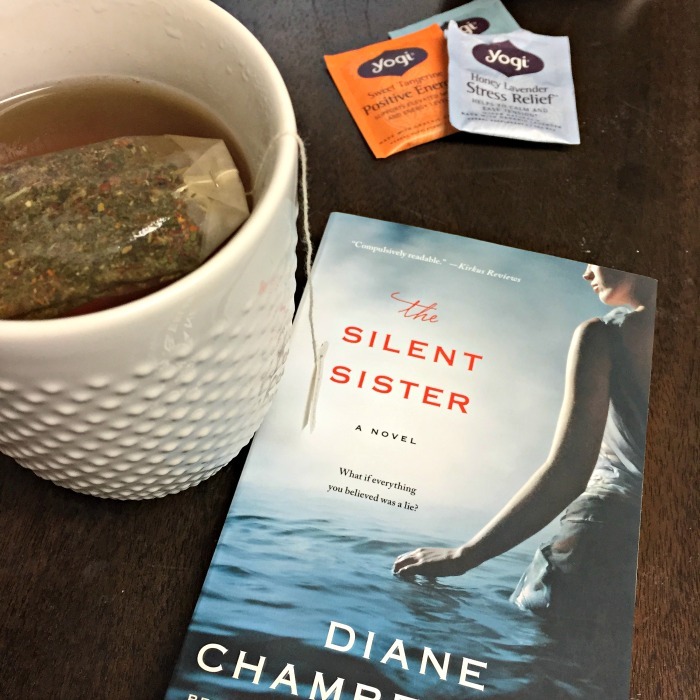 I was thrilled when I saw the books offered this month included one I hadn't yet read but really wanted to - The Silent Sister by Diane Chamberlain. I've actually never read one of her books, though I have seen them everywhere. The other book offered this month is The Lake House by Kate Morton, which I read a couple months ago. 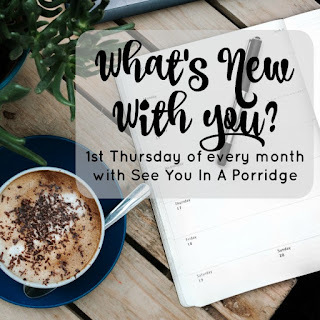 The theme for this month's box was Page Turners. I've been in a bit of a rut with reading lately - partly because of being obsessed with my show, and partly because of the 'library book that got spoiled and was missing pages debacle of 2016' that turned me off reading. I started this book last night though, and if I didn't have to go to work today I have a sneaking suspicion I would have stayed up all night to finish. The other goodies I got this month included the yogi tea pictured above. I had never tried it before last night, I had the stress relief one - fitting after my busy couple of weeks. I've heard great things about the bedtime one, I'll try that next time I feel like I'm not going to get to sleep easily. Unless of course it's a book keeping me up and I don't have to work the next day... then what's the harm in losing a little sleep? 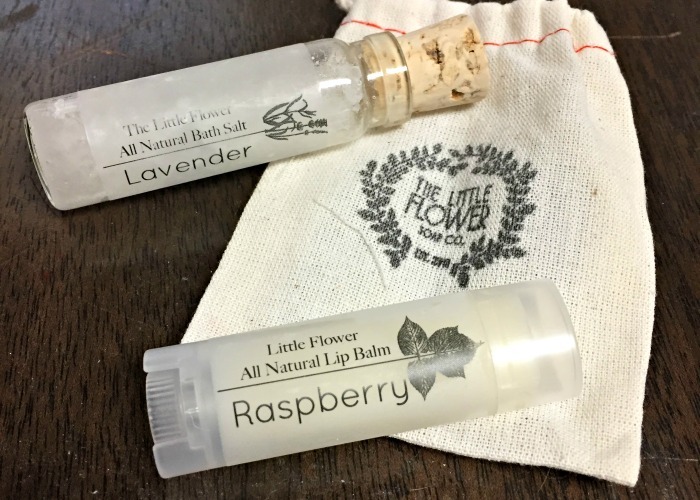 I also got some bath salt and lip balm from this adorable Etsy shop, Little Flower Soap Co. Lavender is pretty much my favourite in any way I can get it, so I can't wait to try the bath salt. And then of course this adorable pot of honey that I don't want to use because it's too adorable to disturb. All in all, another fabulous box from Hello Book Lover. For more details on how this subscription box works, please see my previous post or visit Hello Book Lover's website. It's pretty simple, you subscribe, you pick a book and receive a box. 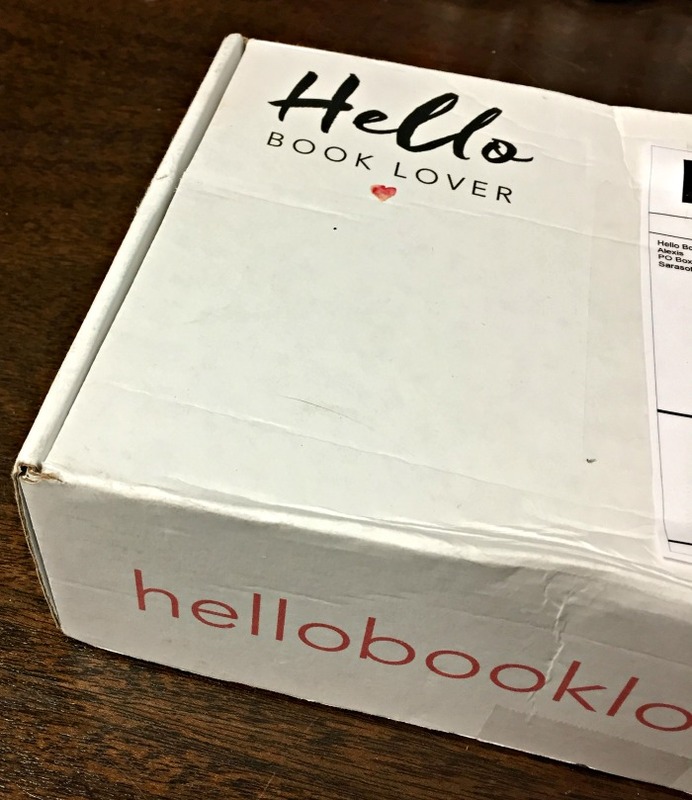 Be sure to follow Hello Book Lover on Instagram so you'll always know what books are in the next box! Speaking of, the books for the November box - theme is Around the Table - are Kitchens of the Great Midwest and The School of Essential Ingredients. I love a good book with food involved. Truthfully, I just like to eat whilst reading (or, you know, breathing) and I love a book that combines the two. I actually haven't read either of these - have you? I still cant decide which book subscription to go with - so many great ones. I want to try some of that positive energy tea now!!! ok that's the cutest service ever. and the perfect little additions to a book/reading. 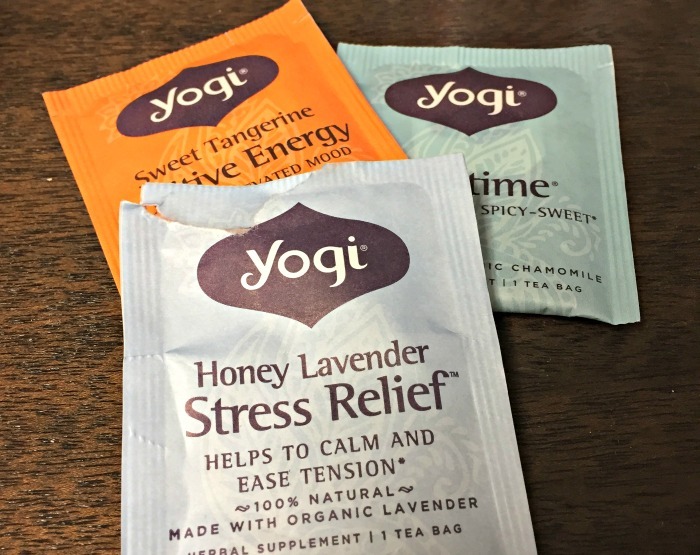 i love all the lavender too and well, yogi tea is one of my favs! book, tea, honey? yes please! i'm like that too - i don't eat or use things because the packaging is too pretty to touch...that's why i have stationary boxes that are unopened from 1980 (not even kidding about this). What a fun box!!! I love the yogi teas and will go back to drinking them after baby. For some reason some teas are ok and some aren't so I have gotten rid of all of them to be on the safe side haha. I will have to check out that book! The honey and pampering goodies you got are so fun. I am a huge lavender fan as well. I didn't realize you guys were doing all kinds of house things. Good luck with that! Hope you have a great weekend! That honey is too cute. I'm definitely spoiled on the honey front because my parents have bee hives in the backyard, so I always have fresh honey around. It would be local if I lived near them I guess. I love to add it to hot tea, or on top of biscuits! I don't cook with it a lot since I don't want to waste if if I won't be able to taste it! This sounds like such a fun little subscription box! Since getting more into reading, this is definitely something I'll be looking into. I also love the goodies they gave with the book. I've heard about the Yogi teas and have been curious! What a great subscription box. I think I may have to sign up for this as it would encourage me to read more. I love how the box includes tea! I haven't tired any of the Yogi teas but I really should. Love a good cup of tea. I have read Kitchen of the Great Midwest and didn't love it but I might try The School of Essential Ingredients. I've been wanting to treat myself to one of these boxes since your last post. I bet they'll have some fun kitchen/food related goodies too! "Truthfully, I just like to eat whilst reading (or, you know, breathing)" ... Ummmm, me too? :) They always include such wonderful add-ons. 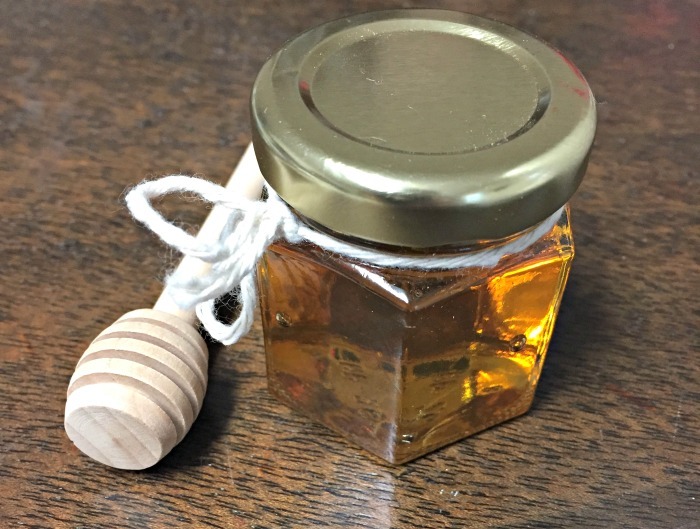 I'd have a hard time opening the honey too because it's dang adorable. Both of those books are already on my TBR, and it sounds like the Chamberlain book is a good one! Aww, the honey jar is SO cute! Looks like a winning box, my friend! 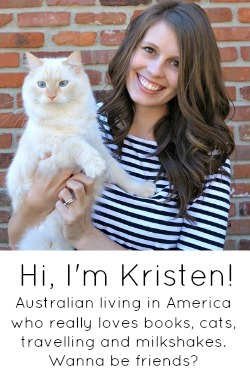 I think this subscription box is so cute- it's just not in the budget yet. Someday, though! OMG, you've had so much going on over there! Hope you're enjoying all the facelifts from these home reno projects. I love essential oils and use lavender to help David and myself meditate, and to help me fall asleep. Lavender anything is just so lovely and calming. That bath salt looks amazing! How cute is that honey pot! Glad you enjoyed another box from this service, it really looks great. Honey lavender tea is my jam! Fun box this month! That brand of tea is one of my favorites, so I'm glad that you enjoyed it, too. On a totally unrelated note, your kitchen looks fantastic! I saw your Snap of it yesterday (I think?) - you guys are doing a great job! Cute stuff - I love all things lavender as well! Use the honey girl . . . if you like honey anyway . . . I'm not much of a fan! The tea and bath salts sound lovely as I've been a little too anxious lately :) Thanks for the tips. Seriously such a cute subscription idea! I love surprises in the post! I also love honey more than any human should. This is such a cool service, and I like that they tell you what's coming up so you don't get books you've already read. Also the house projects sound exciting! It's like real life HGTV. Are you going to blog about them? (Please say yes because I've got HGTV withdrawal over here). I kinda want to do this. 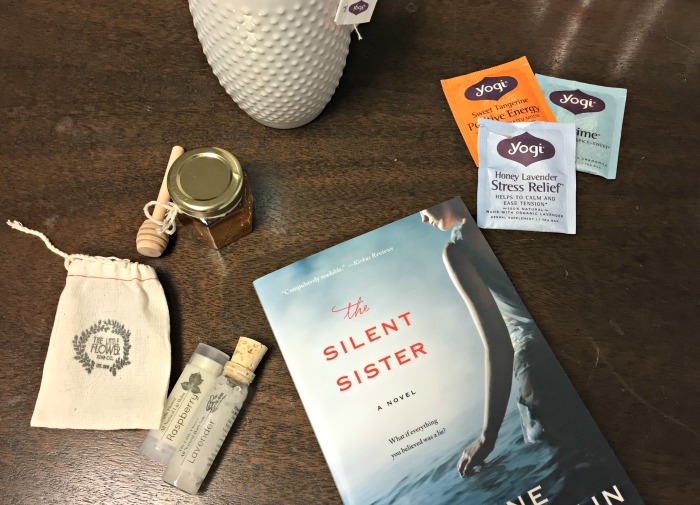 I love subscription boxes, and it's even better when they include books! It sounds like you have been crazy busy with all of those house projects. Painting is no joke. This sounds like such a great box! I haven't read either of those either! I honestly don't eat while I'm reading very much because I usually like using two hands when I'm holding a book so it's always annoying to have to turn pages and things. Plus I read a lot in my bed and I have a thing about crumbs in bed! I don't know if that even makes sense. These box things always interest me. There are just so many! Love the book idea though! I too enjoy eating whilst doing really anything. As much as I like books, I don't know that I could ever get into the book boxes simply because I already have so many books and my library sales are amazing anyway. Obviously if a family member or friend wants to gift me one, I would be thrilled. I like that they tell you what the books are and that you get to pick, but I'm not too much of an adult book reader. Oh my gosh, that little pot of honey is way too cute! I can't wait to hear what you think of the book-- I loved Necessary Lies & have been wanting to read something else by the author but haven't got around to it yet. These posts make me so sad I can't order one of these boxes :( BUT, I did just go request that Chamberlain book from the library so that makes me feel a little better? Not really, but it sounds good! I love Yogi tea, and I love their little messages on the tea bags. I haven't heard or tried that honey lavender one though! I will have to keep my eye out for it! And I know...I'm the same way with really cute things...I hate to use them because they are just so damn cute!